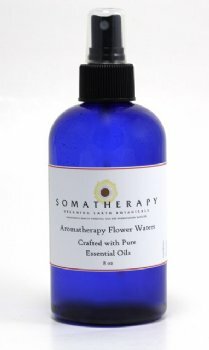 Ylang Ylang Flower Water - Madagascar - Distilled water infused with Ylang Ylang essential oil. Flower Waters are very mild, have a gentle fragrance, and are quite refreshing when sprayed on the face and body. Ylang Flower Water is lightly sweet and floral. Four and eight ounce sizes come in a cobalt blue bottle with atomizer top. Larger sizes come in refill bottles and do not include a spritzer top.